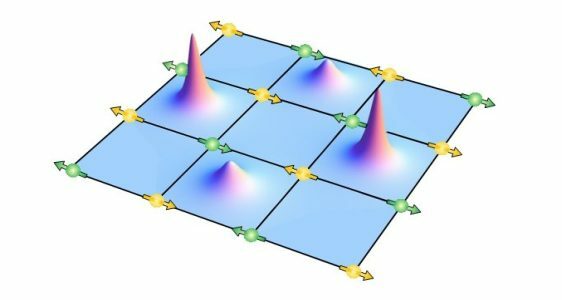 The Institute for Solid-State Physics (IFP) focuses its research on electronic properties of condensed matter with emphasis on novel systems where quantum correlations and strong electronic interactions play a key role. The combination of experimental and theoretical methods at our disposal is geared towards the in-depth understanding of these systems. The full gamut of methods ranges from state-of-the-art material growth capabilities (single crystals and thin films) to transport and thermodynamic methods, x-ray diffraction, inelastic scattering of photons and neutrons, electron spectroscopies and spectromicroscopies. Investigations can further be carried out under extreme conditions (mK temperatures, magnetic fields up to 14 T, high pressure, strain...). Advanced theoretical modelling and ab-initio simulations furthermore provide valuable insights for the preparation of the experiments and the interpretation of their results. 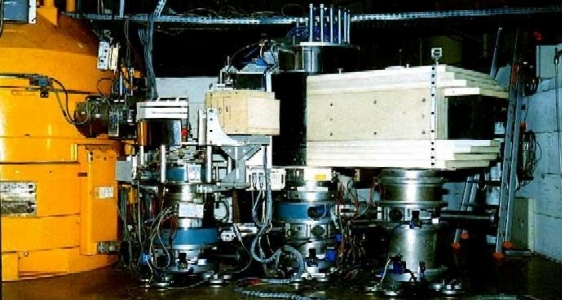 The experiments are carried out at the IFP and at several instruments installed at large-scale facilities, in particular the soft x-ray analytics facility WERA and the triple-axis thermal neutron spectrometer 1T. The research is conducted within the HGF program Science and Technology of Nanosystems (STN) in the topic Condensed Matter and Molecular Building Blocks. WERA is also participating in the Karlsruhe Nano-Micro Facility (KNMF) platform. 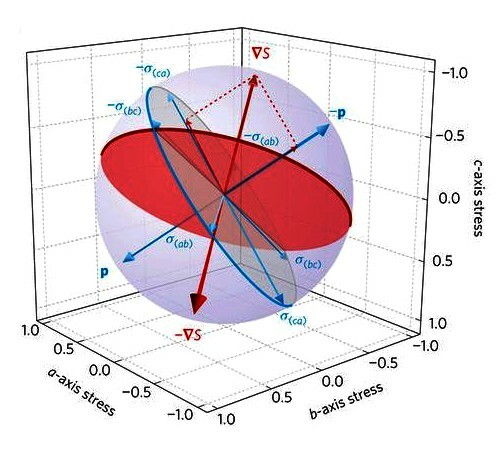 A high-resolution inelastic x-ray scattering study of the high-temperature superconductor YBa2Cu3O6.67 under uniaxial stress along the a-axis shows that a three-dimensional long-range-ordered Charge Density Wave (CDW) state can be induced in the absence of the large magnetic fields that were used so far to observe it. A pronounced softening of an optical phonon mode is associated with the CDW transition. 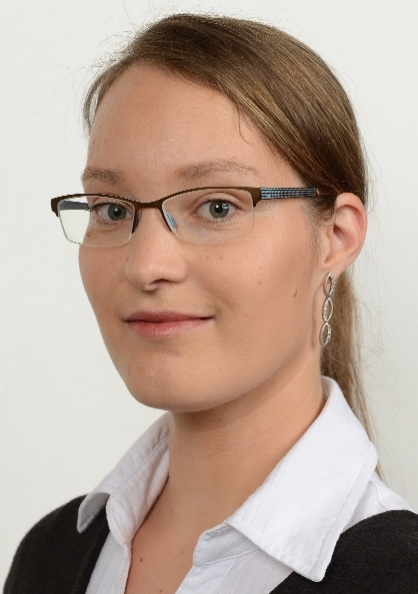 Kristin Willa who joined the group “New Materials, Transport, Thermodynamics and Mesoscopics” in October 2018 has been awarded a Humboldt Research Fellowship for Postdoctoral Researchers. She will develop new calorimetric methods to study Fe-based and topological materials. Congratulations! 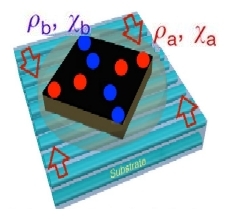 Angle-resolved photoemission spectroscopy of the iron-based superconductor Ba1−xNaxFe2As2 reveals the electronic response to the nematic phase as well as a distinct electronic reconstruction that cannot be explained by the known electronic orders in the system. 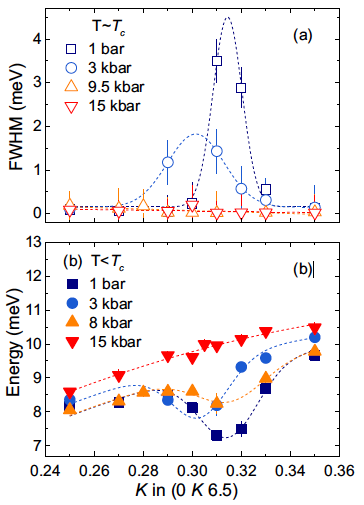 Thermodynamic and Neutron scattering measurements in heavy-fermion compound CeCu6−xAux under hydrostatic and chemical pressure demonstrate that the unconventional quantum criticality exclusively arises from magnetic fluctuations and is not affected by the monoclinic structural distortion. 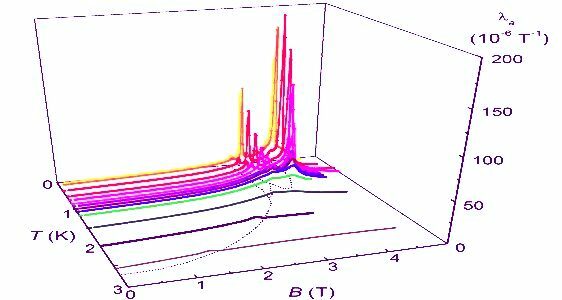 The ab-anisotropy of the Seebeck and Nernst effect as well as of the electrical resistivity was determined for a series of strain-detwinned single crystals of Ba(Fe1-xCox)2As2. Underdoped samples (x=0.024, 0.045) exhibiting a transition from the tetragonal paramagnetic phase to the orthorhombic spin density wave (SDW) phase (at Ttr=100K and 60K, respectively) show Nernst anisotropy at T>200K >>Ttr. An optimally doped sample (x=0.06) without any evidence of long-range magnetic order shows nevertheless a rather small and reversed in-plane transport anisotropy for T<120K. 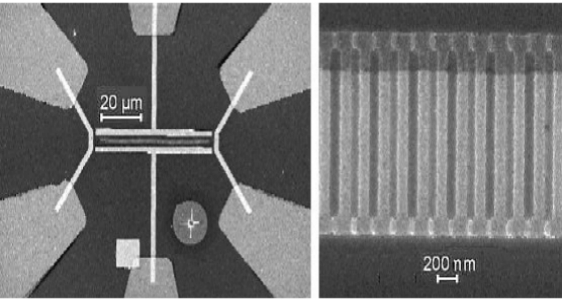 We use state-of-the-art x-ray techniques to precisely measure the lattice vibrations in stripe-ordered La2−xBaxCuO4 and find how they couple to the CDW. 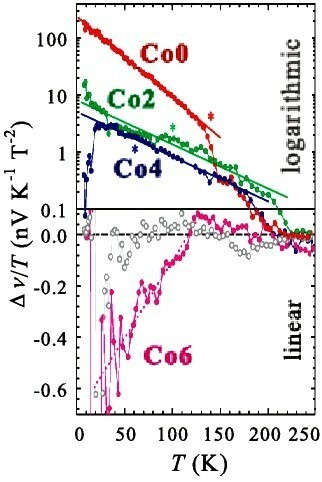 We discovered that the fluctuating CDW correlations that exist at high temperature have a different periodicity than the static ordered CDW but the same periodicity as YBa2Cu3O6+δ, which may arise from coupling between the CDW and spin correlations. This reconciles the puzzling wave-vector difference between YBa2Cu3O6+δ and La2−xBaxCuO4, thus providing strong evidence that CDWs in different cuprates are likely to arise from the same underlying instability despite their different ordering wave vectors. 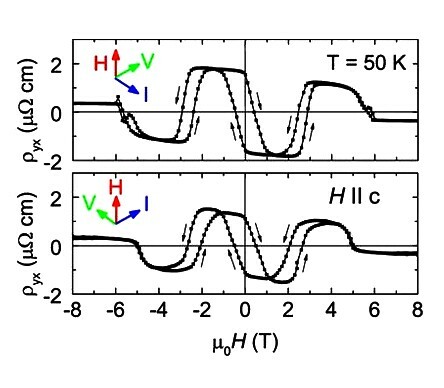 We studied the pressure dependence of the CDW in the underdoped high temperature superconductor YBa2Cu3O6.6 using high resolution inelastic x-ray scattering. 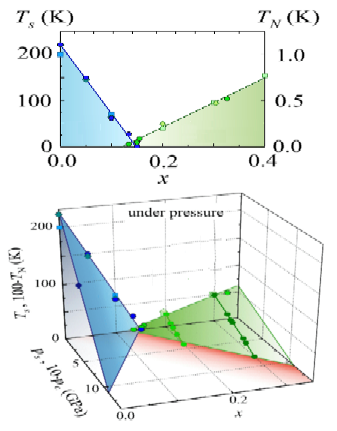 We reveal an extreme sensitivity of the phonon anomalies related to the CDW order to hydrostatic pressures and conclude that a pressure as modest as 1 GPa is sufficient to completely suppress the CDW. This highlight the different effect of chemical doping and pressure-induced structural modifications in the underdoped cuprates. We investigated the magnetic phase diagram of KFe2As2 near the upper critical field by magnetic torque and specific heat experiments using a high-resolution piezorotary positioner to precisely control the parallel alignment of the magnetic field with respect to the FeAs layers. 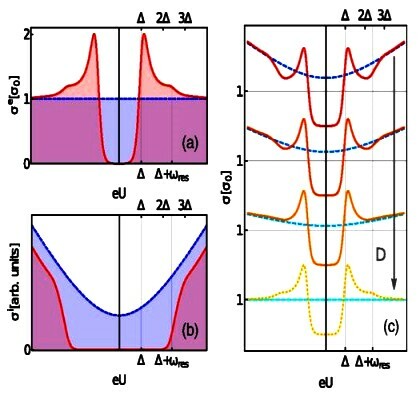 We observed a clear double transition when the field is strictly aligned in the plane and a characteristic upturn of the upper critical field line, which goes far beyond the Pauli limit at 4.8 T. This provides firm evidence that a Fulde-Ferrell-Larkin-Ovchinnikov state exists in this iron-based KFe2As2 superconductor. 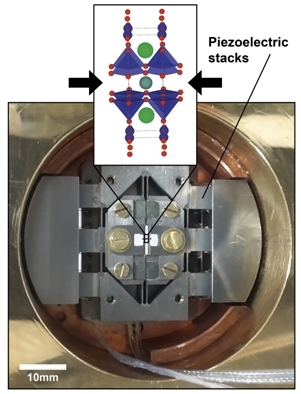 High-temperature superconductivity in Fe-based materials is closely connected to magnetic as well as to orbital, lattice, and nematic degrees of freedom. For the prototypical parent compound BaFe2As2 the magnetic susceptibility and resistivity anisotropies measured on application of a large symmetry breaking strain strongly suggest that magnetism plays the dominant role in this hierarchy of interactions. 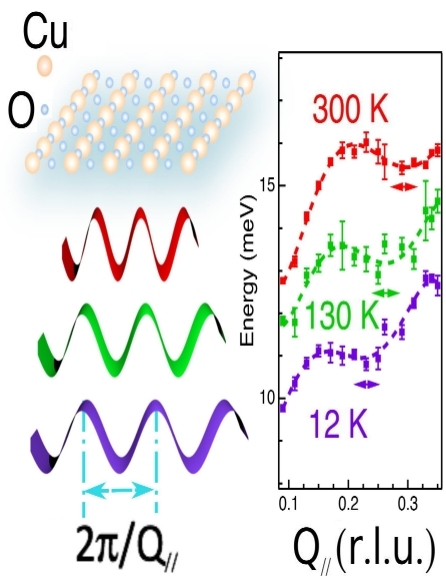 Spin excitations in overdoped Tl2Ba2CuO6+δ and (Bi,Pb)2(Sr,La)2CuO6+δ were investigated by resonant inelastic x-ray scattering (RIXS). 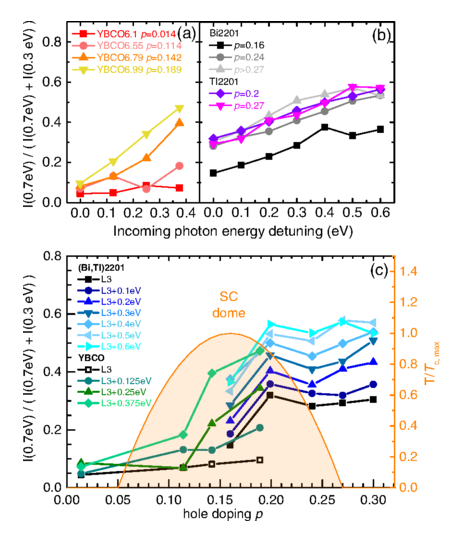 The RIXS spectra of underdoped and optimally doped cuprate superconductors are dominated by a paramagnon feature with peak energy independent of photon energy. Beyond optimal doping, the RIXS data indicate a sharp crossover to a regime with a strong contribution from incoherent particle-hole excitations. For parent compounds of cuprate superconductors differing by the number of apical atoms, the magnetic spectra have been measured by resonant inelastic X-ray scattering over a significant portion of the reciprocal space and with unprecedented accuracy. The absence of apical oxygens increases the in-plane hopping range and, in CaCuO2 apparantly leads to a genuine three-dimensional exchange-bond network. As an approach for cost effective but highly sensitive and selective gas sensors for reliable environmental monitoring, TiOx nanotube layers have been fabricated on multisensor array chips. At operating temperatures up to 400 °C a promising sensitivity and selectivity towards organic vapors in the ppm range could be demonstrated. 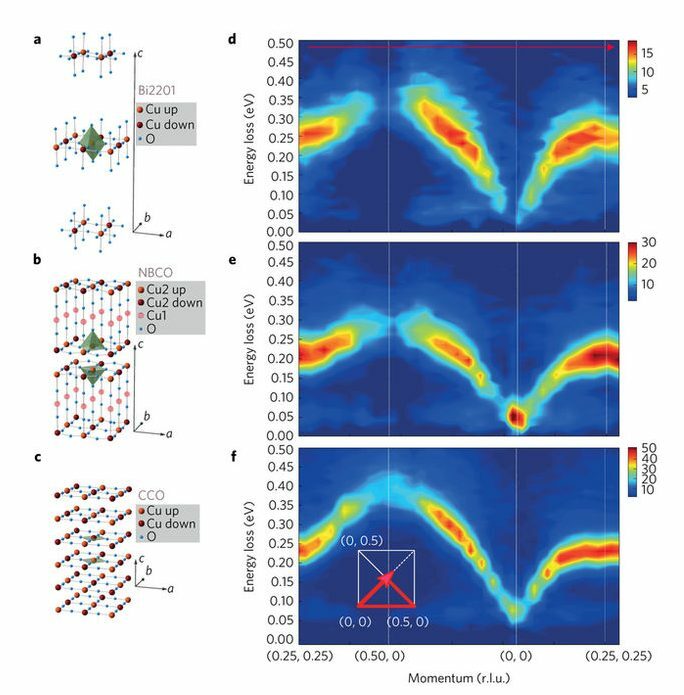 The quasi-2d antiferromagnetic order in Ca2RuO4 has been described as a condensate of low-lying spin-orbit excitons with angular momentum Jeff=1. 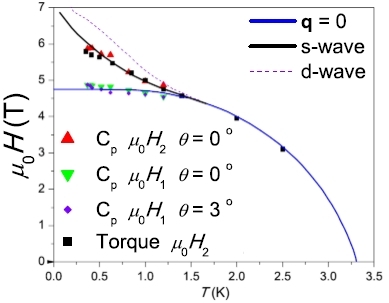 Raman scattering for different polarization geometries allows to disentangle the amplitude (Higgs) mode of this condensate from magnon contributions. Together with recent neutron scattering data, this provides strong evidence for excitonic magnetism in Ca2RuO4. Based on general thermodynamic principles, the spatial-dimensional profile of the entropy S near a quantum critical point has been determined, and its steepest descent in the corresponding multidimensional stress space. 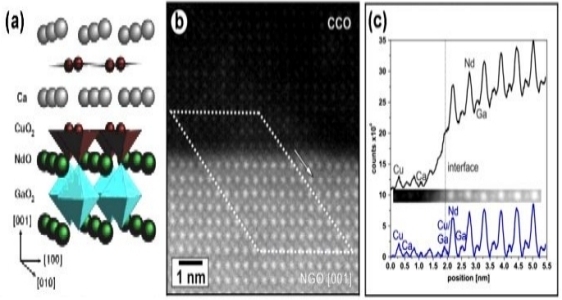 The approach is demonstrated for CeCu6−xAux near its onset of antiferromagnetic order. 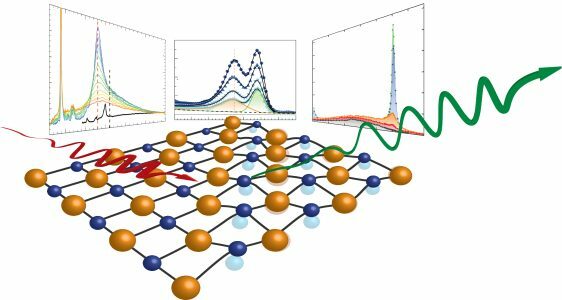 The electron-phonon interaction in the metallic surface state of 3D topological insulators is revised within a first principles framework. For Bi2Se3 and Bi2Te3 the overall weak coupling constant is less than 0.15. 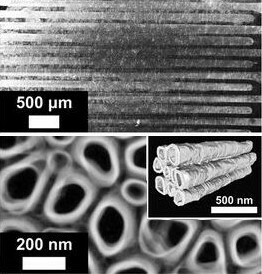 The prevailing coupling is carried by optical modes of polar character, which is weakly screened by the metallic surface state and can be reduced by doping into bulk bands. 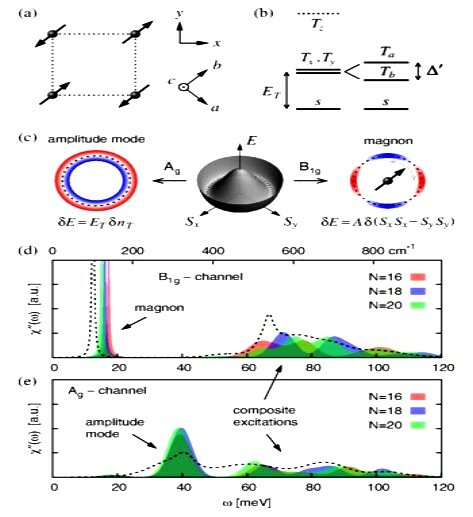 The inclusion of inelastic tunnel events is shown to be crucial for the interpretation of tunneling spectra of unconventional superconductors and to allow to directly probe electronic and bosonic excitations via scanning tunneling microscopy (STM). For the iron based superconductor LiFeAs this leads to strong evidence for a nonconventional pairing mechanism, likely via magnetic excitations. 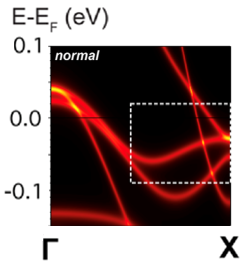 The electronic correlation strength in Ba(Fe1−xCox)2As2 has been probed by the normal-state Hall angle. It was found that correlation strength can be characterized by the ratios of Tc to the Fermi temperature TF, the spin exchange energy J to TF, and the transverse mass to longitudinal mass. In CePdAl, long-range antiferromagnetic order coexists with geometric frustration of one-third of the Ce moments. At low temperatures, the Kondo effect tends to screen the frustrated moments. Suppressing the Kondo screening by a magnetic field, the liberated moments tend to maximize the magnetic entropy and strongly enhance the frustration which can be quantified in terms of the observed enhanced entropy. 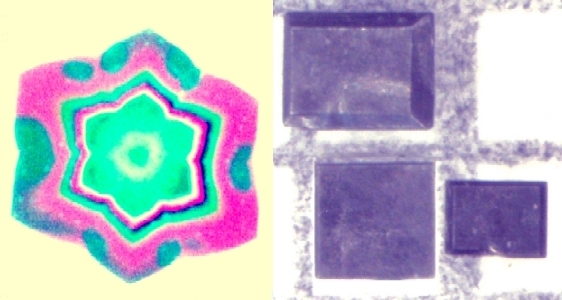 Antiferromagnetic Mn5Si3 single crystals were shown to exhibit an extraordinarily large anomalous Hall effect which is strongly anisotropic and features multiple transitions with sign changes at different magnetic fields due to field-induced rearrangements of the magnetic structure despite only tiny variations of the total magnetization. 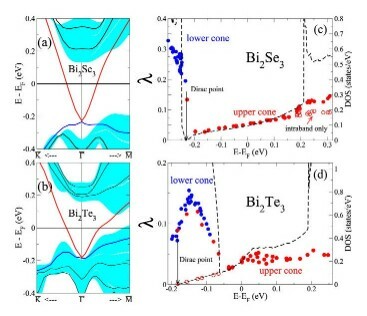 The superconducting semimetal FeSe (Tc ∼ 8 K) is suggested to be in the crossover regime between weak-coupling Bardeen–Cooper–Schrieffer (BCS) and strong-coupling Bose–Einstein-condensate (BEC) limits. The longitudinal and transverse thermal conductivities measured in magnetic fields up to 20 T imply that a highly anisotropic small superconducting gap forms at the electron Fermi-surface pocket whereas a more isotropic and larger gap forms at the hole pocket. 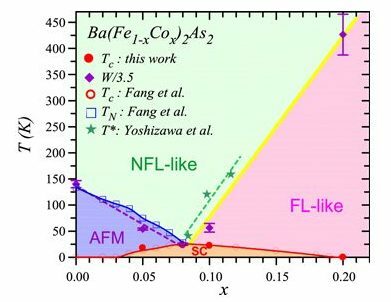 This systematic study of the spatial and electronic structure of the (Ba,K)(Fe,TM)2As2 family (TM: transition metal) shows strange doping: sometimes “reluctant”, always either on the Fe or on the As site (“site-decoupled”). 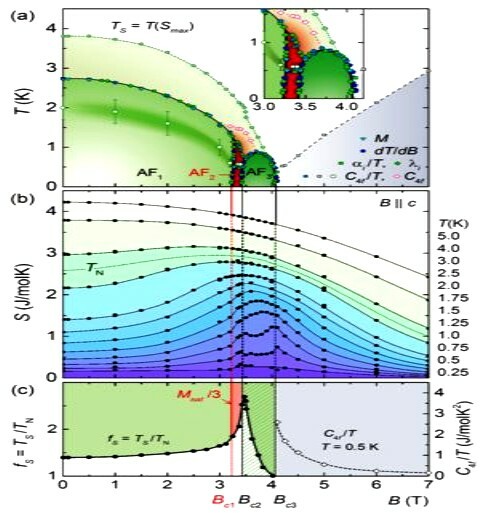 This and further observations including the un-orthodox TM 3d energy-level sequences suggest a lesser role of charge-carrier doping than expected in pnictide superconductivity and magnetism.